Do you need help learning more about your options in broken ankle treatment and surgery in Mountlake Terrace? The team at Mill Creek Foot and Ankle Clinic will always be more than willing to see you for an initial consultation to go over your injury and then go from there. 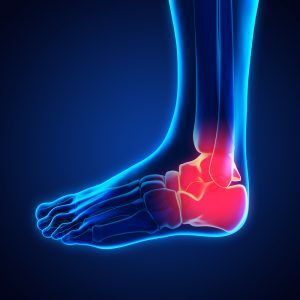 A fracture of the ankle is not something that you want to let go for too long, as there can be even more damage that will develop if you are trying to get around on the damaged foot. A fracture is either a partial or full break in the bones. Within the ankle, there are several bones that could be damaged, including the fibula, tibia and the talus. There are some patients who will have just one broken bone, some may have all three or there even could be severe damage done to the ligaments as well as the bone(s). Regardless of the pain and discomfort that you are currently feeling, the team at Mill Creek Foot and Ankle Clinic will be able to work quickly to fully diagnose your injury and then help to formulate a viable treatment plan. The goal will always be to help you get back on your feet and enjoying your regular routine as quickly as possible. However, if it is a major injury to the ankle bones, you could expect to have to stay off of your feet for quite some time. Call Mill Creek Foot and Ankle Clinic at (425)482-6663 for broken ankle treatment and surgery in Mountlake Terrace to learn about recovery and healing time. We will be able to work with you for a full treatment plan or discuss whether or not surgery is necessary to get the right result.